- Three CJ Logistics golfers finish in the top ten at the Arnold Palmer Invitational for the first time in the history of Korean men’s golf. - All six CJ Logistics’ golfers reach the top ten on the 2018 and 2019 PGA Tour – 55% top-ten rate for this year. - We discover new rising stars, enable players to hone their skills in a stable environment, and support Korean men’s golf to make continual global progress. Our participation at PGA Tour tournaments also exposes our brand to viewers in 227 countries. Golfers playing for CJ Logistics achieved the unprecedented feat of securing three of the top ten places on the leaderboard at a PGA Tour tournament this season for the first time in the history of Korean men’s golf. CJ Logistics, their official sponsor, reaped the publicity benefits with the brand exposed to 1.1 billion households in 227 countries through the tournament broadcast. CJ Logistics’ continued efforts to unearth emerging stars, enable players to keep improving in a stable environment, and support the advancement of Korean men’s golf on the global stage is finally paying off, and its sponsorship is successfully enhancing its brand reputation. CJ Logistics announced that its sponsored golfers Im Seong-jae, Kang Sung-hoon, and An Byeong-hun finished in the top ten at the PGA Tour’s Arnold Palmer Invitational, which was staged at the Bay Hill Club and Lodge in Orlando, Florida, from the 6th to 10th (local time). Super rookie Im Seong-jae, who debuted on the PGA Tour this season after playing on the Web.com Tour, ended the tournament in a three-way tie for third place with his 9-under 279 alongside the two world-renowned players Tommy Fleetwood and Rafa Cabrera-Bello. He finished three shots back of Italy’s Francesco Molinari, who surged to take first. Two other CJ Logistics golfers, Kang Sung-hoon and An Byeong-hun, also successfully placed among the top ten on the leaderboard. Kang tied for sixth place with his 8-under 280, while An tied for tenth with his 7-under 281. With their top-ten finishes, Im and Kang both qualified for The Open Championship, touted as the world’s most prestigious golf tournament, while also taking home a substantial amount of prize money. Since 2016, CJ Logistics has provided support for discovering rising stars in the international arena and enabling them to take part in different tournaments in a stable environment. A total of six sponsored golfers have played on the PGA Tour, including Kim Si-woo, who took home the The Players Championship trophy as the youngest winner in the history of the event, An Byeong-hun, Kim Meen-whee, Kang Sung-hoon, Lee Gyeong-hun, and Im Seong-jae, while Lee Dong-hwan is steadily achieving outstanding results on The Web.com Tour, the PGA’s developmental tour. In addition, Kim Min-kyu became the youngest European Challenge Tour winner at the age of 17 years and 64 days. Many CJ Logistics golfers recorded notable performances this season. Im Seong-jae, who is being considered a strong candidate for Rookie of the Year, and Kim Si-woo both earned three top-ten finishes, while Kang Sung-hoon from Jeju-do, who has continued to improve his ranking, succeeded in earning two top-ten finishes. Lee Gyeong-hun, An Byeong-hun, and Kim Meen-whee also joined the ranks of the top ten once each and took a step closer to victory. In short, all CJ Logistics golfers on the PGA Tour succeeded in making it into the top ten this season. In particular, they recorded a top-ten rate of 55% by succeeding to advance to the top ten in six of 11 tournaments on the major professional tours this year. With their performances this season improving dramatically, their world rankings have also surged. An Byeong-hun and Kim Si-woo rose to 50th place and 54th place, respectively, recording the highest rankings among Korean male golfers, while Im Seong-jae in 71st place is a top pick for Rookie of the Year. Kang Sung-hoon, who has been putting up a strong fight, is ranked 161st, Kim Meen-whee 175th, and Lee Gyeong-hun 273rd. No other Korean national golfer broke into the world’s top 100. 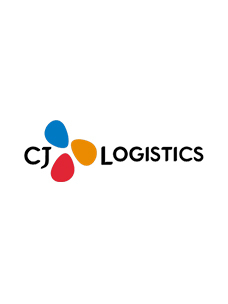 With our golfers responding to the high expectations that come with playing PGA Tour tournaments, the global reputation of CJ Logistics, Korea’s leading logistics company, continues to strengthen. Most PGA Tour tournaments are broadcast to more than 1.1 billion households in 227 countries in 23 languages. The latter half of a tournament, in particular, features intense competition for victory and thus draws even greater attention. As such, the exposure of the top ten finishers is incomparably greater than that of lower-ranking players. Every time the cameras caught the leading CJ Logistics golfers and their shots, CJ Groups’ logo embroidered on their hats and CJ Logistics’ logo on their chests were exposed together. 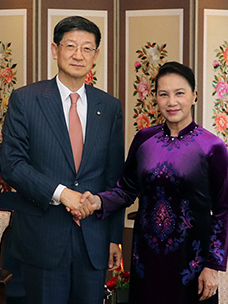 This worked to bring attention to the brand presence of CJ Logistics, which is expected to soon rise as one of the world’s top five logistics companies, and to reinforce the company’s positive brand image. As the media exposure of The CJ Cup @ Nine Bridges held at the Nine Bridges Golf Club in Jeju-do every October is analyzed to be valued at over KRW 170 billion, it is easy to assume that the publicity effect of the CJ Logistics golfers on the PGA Tour is more than substantial. CJ Logistics’ continual sponsorship has created a multi-layered effect by unearthing rising stars, providing a stable environment for them to hone their skills, and thereby elevating the level of Korean men’s golf to new heights. CJ Logistics has been widely recognized for its endeavors to rise as a global top five logistics company and spread sound sports culture. 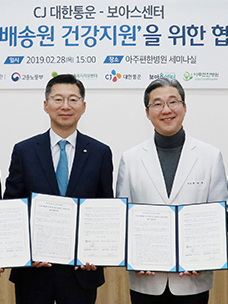 We have focused on fostering talented future sports stars, including the next generation of golf stars, and are sponsoring the CJ Logistics Racing Team as the title sponsor of the CJ Logistics Super Race Championship, Korea’s largest racing sports competition.